Out in Boulder, Colorado, running is a religion and followers pray to the church of natural motion. Founded by missionaries Danny Abshire and Jerry Lee, local brand Newton Running exists to spread a gospel of better running. With low drops, a unique forefoot block, and Action/Reaction technology, Newton footwear encourages more efficient running—a shorter gait and mid-foot strike that promotes a natural side. Converts become fanatics, and the companies love of running trickles further and further with each new de-facto ambassador. Released in July, Newton Energy was designed to introduce a broader spectrum of runners to the joys of natural running. At 9-ounces, the shoe weighs roughly the same as the Gravity (which is 9.1-ounces), and while the Energy follows a familiar color blocking the difference in stance from its siblings is immediately recognizable. First, there is the matter of price point: The Energy retails for $119, the majority of Newton offerings top $150. Second, the tooling is, well, a little less intimidating. The height of forefoot lug, a signature of Newton, is minimized allowing for a smoother transition from heel-to-toe (in most Newtons, this transition is near impossible, leading to a rewarding change in stride). Newton&apos;s patented Action/Reaction technology cushions the mid foot, with a high-rebound EVA at the rear. The upper is a tight mesh, a departure from some of the more open mesh employed in other Newton runners, and has requisite 3D reflectors at the heel. Initial runs in the Energy were slightly unnerving. The allowance of a slight heel strike changes the feel of the stride, and doesn&apos;t demand the same exacting attention to foot fall as transition to, for example, the Newton gravity. Noticeable is the softness of the cushioning at the rear of the foot—which lacks the tread patterning of the mid and forefoot, visual reminders of where the foot should land—and the roll forward from the shank. It is evident how the shoe is supposed to function, but not immediately clear how one must move in it. However, unnerving in Newton is a means to an end. Running in Newtons demands attention. Better running requires thought. Newton shoes force consideration of stride and consideration of body mechanics. Moving from the Gravity to the Energy required recalibration. The forefoot strike is not as severe (or clear) and the addition of a fifth shank ultimately produces a smoother motion. On treadmill, where (thanks to prior injury), the first miles were put on the Energy, hotspots developed at the arch of the foot. The subtle shift in motion stretches the foot ever so slightly, not enough for discomfort but enough to challenge and remind of a great Newton truth: Running in these shoes is as much about the mind as it is about the body. Overcoming the challenges of mind, the opportunity of the run emerges gleefully. Like the Gravity, the Energy promotes a motion that eases impact to the knee and other joints. For an admittedly reluctant runner, the revelation of a required short stride is catalyst for jubilation: Running really can be fun. Stretch limits not by stretching as in a sprint, but by doing things right. Out of doors, the Energy proved capable on concrete (damp and dry), as well as slightly uneven off road trails. With the added width of the fifth lug, the shoe is undeniably stable. Concern does arise from the pace of degradation to the lugs—noticeable after only a few treadmill miles—but not enough for loss of faith in the shoe. Though there is some discomfort during the adjustment period, there is nothing in the shoe design that snags or ensnares the foot. Newton&apos;s sock liner is incredibly comfortable. Friction? Not here. Newton minimizes typical annoyances so that the focus is on aligning foot and motion. Once achieved, the result is clear: More enjoyable running and more focused motion. Dropping price point is a risky endeavor for a niche performance brand. Yet, the Newton Energy doesn&apos;t dilute the brands integrity or mission. Instead, it provides space for true expansion and (thanks to improved stability) a broadening of runner types to follow in the footsteps of Abshire and Lee. 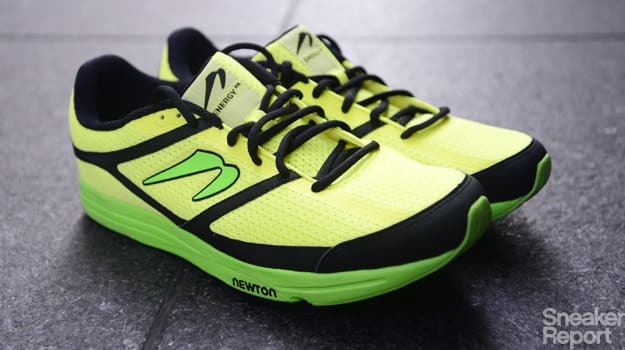 Bottom line: The Newton Energy is a superb, lightweight trainer and terrific for runners who require a bit of stability. It may also succeed in convincing Newton fans to try something (slightly) new. Added bonus: Thanks to the shorter mid-foot shanks, is possible to walk in the Energy! 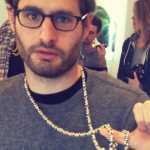 Nick Schonberger is Deputy Editor at Complex Media and a formerly a mediocre Water Polo player.